2017 is a good movie year… not for the box-office though, but it gave us so many movies to love, heroes to worry about, and villains to root for! If your favorite movie makes the list, tell me. If it didn’t, tell me –mention– let’s know if it’s worth it. In no particular order, here you go. Did you like my list? Do tell. Did I miss anything? Do tell also. I won’t say much. These movies were flat out disappointments. Some, more impressive than others, but were still duds. Do you share the same opinion? Do tell. 2017 was a very good movie year and 2018 promises to be better. With so many wonderful movies promised, a man can only hope and follow up so much. On this list, I give you my most anticipated movies of 2018. PS: They’re in no particular order whatsoever. 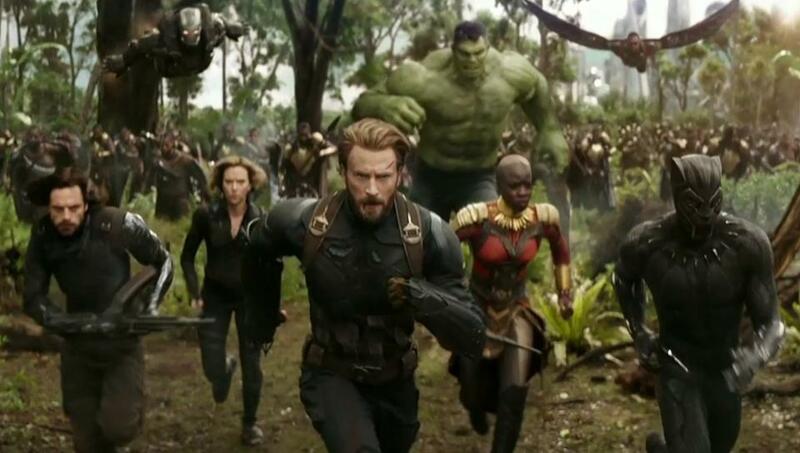 1 Avengers Infinity War – Marvel’s the current juggernaut of the cinemas, everyone of their movie is an assured hit. Next year, they’ll rule again with the culmination of their great works since 2008. Have you seen the trailer? That movie will be the bomb. 2 Deadpool 2 – If you’ve seen the first one, you definitely won’t be asking why this movie is highly anticipated. 3 Jurassic World: Fallen Kingdom – Chris Pratt returns for another adventure with the infamous dinosaurs of the jungle. After the first movie broke boundaries in the box-office, it’s no surprise a sequel was commissioned. 4 Solo: A Star Wars Story – Another one of the Star Wars’ solo (pun not intended) movies just like ‘Rogue one’. 5 Incredibles 2 – After 14 years, one of the world’s best animated movies will be back. 6 Fantastic Beasts: The Crime of Grindelward – Even with all the controversies following the casting of Johnny Depp as the titular Grindelward, the movie is, finally, almost here. 7 Ant man and the Wasp – Another Marvel’s baby. 8 The New Mutants – Have you seen the trailer? Horror has never looked so good; the missing ingredients has always been mutants. 9 Black Panther – This is my most anticipated movie of 2018. 10 Aquaman – My God! Have you seen ‘Justice League’? Jason Momoa was built for this. Same way he was born to bring us ‘Khal Drogo’… Ha Ha!! 11 Xmen: Dark Phoenix – many people complain about the way Fox has treated the Xmen; me, I love them. 12 Tomb Raider – Alicia Vikander looks awesome on the movie posters, I hope she lives up to it and does better than being a poster girl. 13 Ocean’s 8 – This movie has one of the most impressive casts of 2018… imagine Sarah Paulson, Rihanna, Sandra Bullock, Anne Hathaway, Cate Blachett and more? 14 The Nun – HORROR MOVIES are bae! ‘The Conjuring’ universe has had an impressive outing so far. 15 Maze Runner 3: The Death Cure – O’brien’s outing in this movie has been decent, I’ll definitely watch anything that has the man that brought Stiles Stilinski to life. 16 Bumbleebee – Tell me one autobot that’s as awesome as Bumblebee… now, he has his movie; all I have to do is hope it makes sense. 17 Fifty Shades Freed – I had high hopes for this franchise. Happy it’s finally ending. 18 Scarface- A remake of the 1984 classic. 19 Barbie – Yea, Babrbie is coming to life action. Why? Nothing more than to make money, I think. 20 Hellboy – Yea! He’s having a makeover. 21 Venom – Anything with Tom Hardy is a must-watch for me. Google has released its list of most searched TV shows of 2017. The list is nothing short of predictable because most of the shows there were among the biggest hits of the year. There were also a few surprises there, shows that capitalized on controversial marketing campaign to earn themselves a spot of Google’s searches all over the world. Which of these entries surprises you the most? Do you think GOT should have been number one? ‘The Wedding Party 2’ Arrives Cinemas Today! I’ve been trailing reports from the Ebony Life camp concerning ‘The Wedding Party 2: Destination Dubai’ ever since the sequel was announced. Ever since I watched the trailer, my anticipation has reduced drastically (almost by half). Because, like I said in my first article, the trailer makes the movie feel like a recap of the first one. It wouldn’t take a prophet to see. It’s more than obvious… characters with story arcs that ‘shouldn’t’ be continued, like Rosie’s obsession with Dozie and Saka’s ori-oke of Ekiti were conspicuously placed in the trailer. I understand that the ‘powers that be’ want to retain the winning formula, but there’s a big difference between retaining the magic and repeating the action. At the world premiere last Sunday (10/12/17), most of the casts were interviewed. That was the straw that broke the camel’s back. Three cast members basically telling em to dole out my cash to go watch the same movie probably because they increased the amount of familiar faces (like my sweet Patience Ozokwor). The way this movie fares at the box office will teach me the finally lesson on the way the Nigerian movie market works, if the consumers like a repeat of the winning mojo of another side of the action.